In May, the HFG project supported the second “International Course on Decentralization in the Health Sector”, held in Kinshasa, Democratic Republic of the Congo (DRC). The five-day course was a follow up to the first decentralization course in May 2016. The course was so successful that participants asked that the HFG project consider organizing more courses on the topic. Both courses were designed to inform the ongoing decentralization process that was established as an objective in the country’s 2006 Constitution. The Constitution defined different roles for the national and provincial governments, supporting efforts to develop additional laws and regulations relating to decentralization in general and specifically to the health sector, as well as the future implementation process. Opening Ceremony – From left to right: Mr. Steve Mbikay, Minister of Higher Education; Mr. Azarias Ruberwa, Minister of State and Decentralization; Dr. Oly Ilunga, Minister of Health; and Kendra Schoenholz, Deputy Mission Director, USAID/DRC. 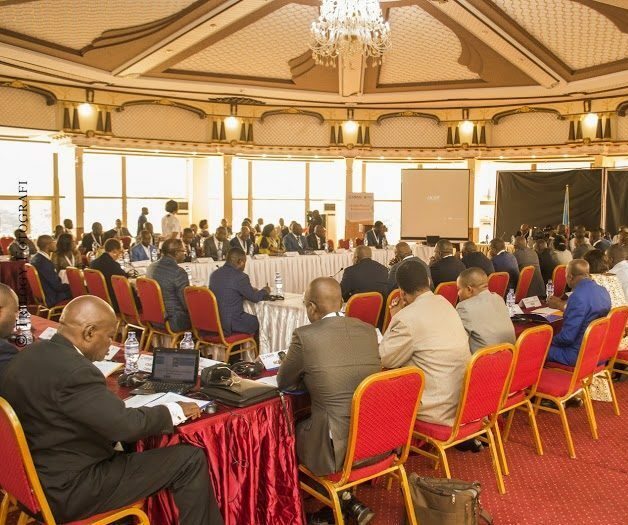 The course encouraged a network of officials at the national and provincial levels to participate in the process for developing an appropriate policy for extending decentralization in order to improve the performance of the health sector in the DRC. The course was implemented under the auspices of KSPH to build the institution’s capacity to offer similar courses in the future. Dr. Tom Bossert from the Harvard School of Public Health provided expert assistance to KSPH in the planning and delivery of the course, with the HFG project providing overall organizational and logistical support. While the 2016 iteration targeted central directors, heads of the provincial health divisions, and provincial medical inspectors; the second course brought together all 26 provincial ministers of health, 18 provincial medical inspectors who were unable to participate in the first course, 13 directors of specialized programs that will be integrated at the provincial level, four participants from the General Inspectorate of Health Inspectors, and 13 international partner participants. 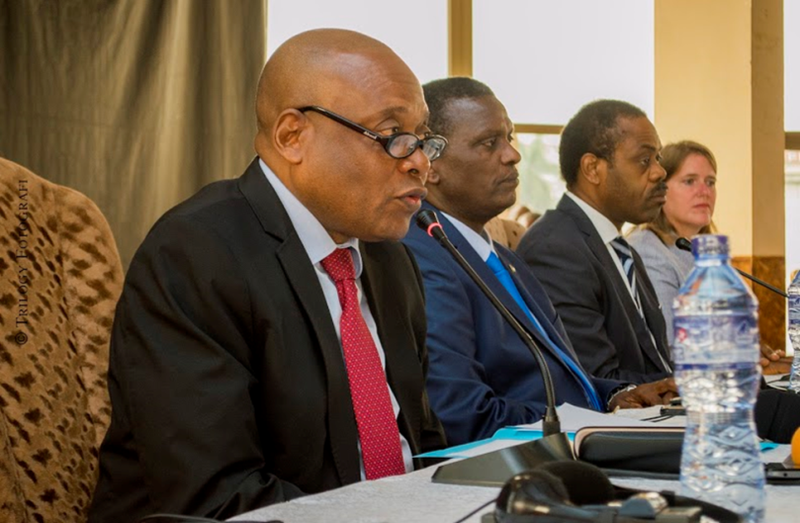 This second iteration of the course on decentralization in the DRC’s health sector received even more interest than the first, as evidenced by the officials who formally opened the course: Mr. Azarias Ruberwa (Minister of State, Decentralization and Institutional Reforms), Dr. Oly Ilunga (Minister of Public Health), Mr. Steve Mbikay (Minister of Higher Education) and Kendra Schoenholz (Deputy Mission Director, USAID/DRC). A common language and set of concepts about decentralization were developed that participants found useful. Five potential agendas for adopting and implementing greater decentralization were developed by the participants.